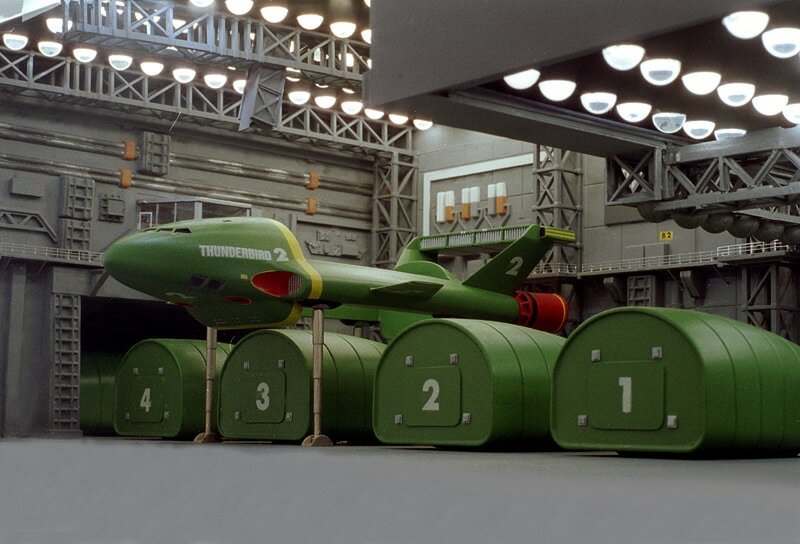 In the 1960s TV series, Thunderbirds, there was a vehicle called Thunderbird 2. It was a heavy transport carrier and used a variety of pods to deliver the appropriate equipment to a rescue site. The Amazon Drone uses a variety of pods to deliver goods to customers. 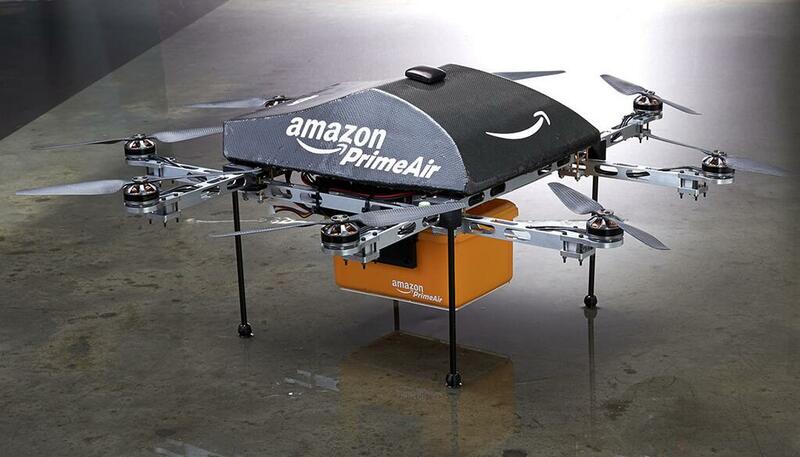 Twitter exploded with chatter about the Amazon Drone yesterday. Laugh at the Amazon Drone. You will THANK IT when it's the only thing that can get to your disaster area with supplies. "Hey, Bob. Where'd you find the food in all the hurricane wreckage?" "Amazon Drone delivered it." Imagine Amazon Drones in New Orleans, post-Katrina. Jaysus. Bezos knows exactly what he's doing. This Drone has many, many implications. 1) Amazon is disintermediating humans. All of the truckers it currently relies on — many will be gone in the future. Drones don’t form unions, need health care, ask for raises, or need sick days. And as volume production of Drones occur, they become even less expensive versus human beings. 2) Everyone wondered why Amazon bought a mapping company. It wasn’t just for their tablets! 3) Don’t expect the final Drone to be as benign as the one shown. It will have many cameras and sensors. The cameras will help with mapping. The cameras will also confirm deliveries. And the cameras will link to a facial recognition database too. While Google Maps has Street View, Amazon can offer Drone View. And those sensors? Amazon Weather. Be afraid, Weather Channel. 4) This is another reason for Amazon to offer a phone. Why limit deliveries to customer street addresses? A Drone can be sent directly to where you are now by homing in on your Amazon phone. 5) Bezos is rich enough to buy the sky. If you think the FAA will object, forget it. This is a done deal because it also ties into law enforcement. Remember all those cameras? If Drone Monitors see something, they’ll say something. The privatization of policing via unintended(?) consequences. 6) Weather will become even bigger. We’ll have “drone forecasts.” You’ll check the status of the weather to confirm that it’s drone-friendly. And you’ll do it via Amazon Weather. 7) While people will inevitably go on about how many distribution centers Amazon needs to blanket the USA — each drone, today, has just a ten-mile limit — they’ll (once again!) miss the larger point about how clever Amazon is and how they can do this with smaller delivery sub-centers. Amazon doesn’t have to offer everything at once for Drone delivery. Just enough to begin. Amazon is a company that has figured out how to shelf things by size. And they know that eighty-six percent of their current deliveries fall within the Drone lifting limit of five pounds. 8) And yeah, Amazon will score huge PR when their Drones can get to hungry people in a disaster area while the Red Cross and others have to plod along on land first clearing wreckage with bulldozers to get through. Those are just eight things (actually more, if you parse carefully). I could go on, but this is probably more than anyone else has thought of, so I’ll stop. April Fools is early this year! When that story broke Sunday night I seriously thought it was a joke. Everybody is focusing on the short range air-delivery drones while neglecting the real big payoff in robotic transport: autonomous ground vehicles. We’ve discussing for a while Amazon’s eventual need fir a delivery service, where merging with UPS, picking up excess USPS capacity, or building their own. Well, autonomous vehicles is one way they could undercut UPS, which is otherwise a daunting challenge. It’ll take awhile but the tech is out there. One of the DGC was even urban based. If not for the fact that an urban drone has to deal with a much more complicated environment than a flying drone we would already have them by now (and if not for legal issues). I wasn’t referring to you, but all the people who misconstrued Bezos statement that Amazon is looking to use flying drones to do deliveries to mean they intend to do all deliveries by drone. Someone really thought Amazon would only do flying drones? They must have forgotten about Kiva Systems. Also, ground transportation costs are considerably cheaper than flying; that alone gives wheeled drones an advantage. Almost all the comments I’ve seen, from Cnet to Forbes and elsewhere harp on the limited range of the drones, how you’d have 50,000 drones over NY, etc. Not much thought to this being a limited scope premium service for special conditions, just that it can’t p o possibly work because it won’t fit every condition. Me, I figure 50 drones and 1000 deliveries a day in NY would make Prime Air a profitable move. Who’s going to pay to airlift diapers? Now, an engagement ring airlifted to a Central Park picnic site by following a phone might get a guy hitched and open the door to a lot of diaper buys a year or two later. Harping about the limited range makes about as much sense as arguing that the existing same-day service won’t work because it’s limited to major metro areas. This could be the start of drone warefare . Robber drones attacking delivery drones to steal their packages . Delivery drones upgraded with defensive measures to stop attacking robber drones . Robber drones upgraded with stronger weapons . And battles in mid-air causing debri to rain down upon humans , so that everybody has to wear a helmet when they go outside . I think it’s more likely that whole drones will rain down. A fine net would probably be enough to jam a few propellers and make a drone crash. The skies may soon be full of drones–some run by law enforcement agencies, others run by intelligence agencies and still others delivering novels and cases of diapers from Amazon. But a new project by a well-known hacker Samy Kamkar may give control of those drones to anyone with $400 and an hour of free time.